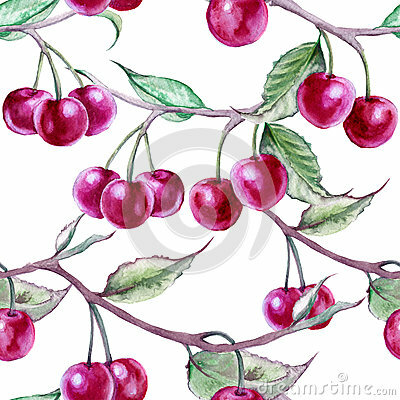 Background branch with cherries. Seamless pattern. Background branch with cherries. Seamless pattern. Watercolor illustration.